With a new year, a new Congress, and a new administration, now is as good a time as every to issue an advocacy challenge. Each month of this year, our team will identify a topic or two—whether driven by the AASA legislative agenda or by current goings on with Congress or the administration—and provide advocacy support. That is, we’ll give a bit of quick background on the topic, explain the relevant policy proposals and implications, and then share a few talking points that you can use to weigh in with your Congressional delegation (your Representative and both your Senators). You can take that information to craft your monthly outreach—contacting one office per week—to your Congressional delegation, to relay the policy priorities in the context of what it means for your schools and the students you serve. We stand by ready to answer any questions you may have. Do you not know the name or email address of the education staffer in your Senator’s office? We can provide that for you. Are you interested in seeing who from your state serves on certain House or Senate committees? Did your Congress member reach out with a different question, and you’d like information about that? We can get that to you. The CHIP Program expired on September 30th. If Congress does not act quickly to extend funding for CHIP then school districts will lose funding for the critical health services provided to low-income children that ensure they are healthy enough to learn. CHIP provides essential funding to support states to cover uninsured children. Any delay or a failure to immediately extend funding for CHIP will jeopardize coverage for children who are eligible for school-based health-related services leading to immediate and lasting harmful effects for America’s most vulnerable citizens. A lapse in coverage for children places more barriers on their ability to come to school ready to learn. During a time of great uncertainty in the healthcare system, children need the consistent, reliable health coverage CHIP provides today. More than half of the nearly nine million children served by CHIP are eligible to receive services in school through their state Medicaid programs. Fifteen states exclusively use CHIP funds to extend their Medicaid programs, meaning all children who qualify for CHIP receive identical services and benefits as their traditional Medicaid-counterparts. In most states a substantial portion of children served by CHIP receive Medicaid services and benefits protections. Districts in these States bill Medicaid for health services they provide to CHIP eligible children. This funding stream is critical to ensuring that healthcare services can be delivered to eligible students in the school building. A school’s primary responsibility is to provide students with a high-quality education. However, children cannot learn to their fullest potential with unmet health needs. The health services these children receive that ensure they are healthy enough to learn. School districts depend on CHIP to finance many of these services and have already committed to the staff and contractors they require to provide mandated services for this school year. The failure to continue funding CHIP would merely shift the financial burden of providing services to the schools and the state and local taxpayers who fund them. The CHIP program ensures low-income children are healthy enough to learn by covering basic health screening, immunizations and many other critical health services. Schools rely on CHIP funding to supplement the healthcare services they provide to students. If Congress does not act quickly to extend funding for CHIP then school districts will lose funding for the critical health services low-income children receive that ensure they are healthy enough to learn. More than half of the nearly nine million children served by CHIP are eligible to receive services in school through their state Medicaid programs. School districts depend on CHIP to finance many of these services and have already committed to the staff and contractors they require to provide mandated services for this current school year. The failure of Congress to continue funding CHIP would merely shift the financial burden of providing services to the schools and the state and local taxpayers who fund them. Support the bipartisan bill to extend the CHIP program for five years in your chamber. With Congress home for recess this month, the focus of this month’s challenge is to have conversations with your delegation while they are home. Recess is an opportune time to invite your elected official (and/or their education staffer) to see your schools in action. Highlight your programs that are excelling (After school? English Learner support? Early education? Credit Recovery?). Give examples where you could do more with better federal support (High class room sizes? Teacher shortages? Limited opportunity for CTE?). Facilitate a community conversation with stakeholders about ESSA (or education technology, or school nutrition, or rural education….). Introduce yourself, and your district. Enrollment, free/reduced lunch rate, community type, etc…. Mention your state association, and their role in helping facilitate/convene conference calls and round table conversations with member superintendents. Extend the invitation for the visit, and ask who you should coordinate with to set it up. Set up a meeting, either at your school or in their regional office. Reiterate your willingness to be a resource. Offer the opportunity for them to reach out to you as they have questions and consider various policies in Congress; let them know that you’d be happy to tell them what it would look like in your district and for specific things to consider. Remind them you will continue to reach out on federal advocacy priorities, and that you look forward to working with them. As you prep for your meetings, never hesitate to reach out to the advocacy team to request a briefing call contact information, or the latest update/talking points. This month's second advocacy challenge--all about funding for Title II of the Every Student Succeeds Act (ESSA)--is a little different than earlier versions. For the second June 2017 advocacy challenge, we are asking our members to participate in a coordinated national Title II Day of Action (on June 14) to advocate for the policies that could significantly impact school leaders, principals, teachers, other educators and the students they serve. AASA is pleased to partner with AFSA, NAESP, NASSP, Learning Forward, ASCD, and New Leaders for a National Day of Action. This is in response to President Trump's proposed budget for FY18. 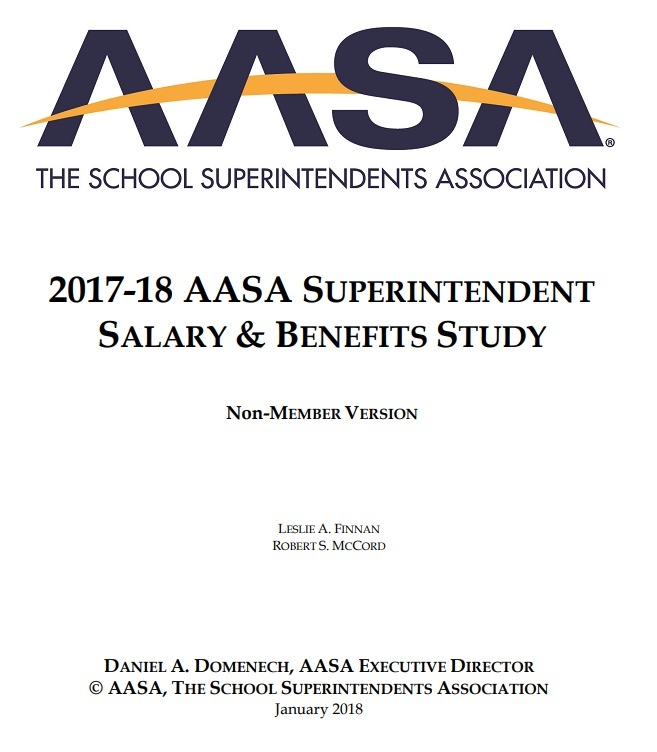 You can read AASA's full response and analysis on the blog. 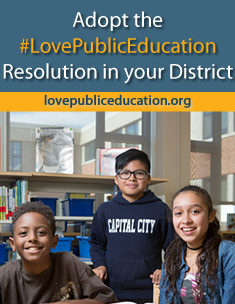 I am writing as a constituent, as a leader in my school, and as a leader in my community to strongly urge you to provide full funding for the Title II, Part A program in FY 2018. As a school leader, I was encouraged when Congress passed the bipartisan Every Student Succeeds Act (ESSA) in 2015. ESSA provided new opportunities for schools to invest in principal leadership and support for our previously overlooked profession. In fact, many states have wisely already taken advantage of the optional 3 percent state set aside of Title II, Part A funds for school leadership specific activities. Title II already saw a drastic reduction this year when $249 million was cut from the program for FY 2017. Despite these already harmful cuts, President Trump has proposed to completely eliminate funding for Title II, Part A in his FY 2018 Budget Request. This is not only dangerously shortsighted, it would severely disrupt many states’ ESSA implementation plans, and hamper our efforts to increase student achievement. Tile II, Part A provides critical funding to states for the purposes of preparing, training, recruiting, and retaining high-quality teachers, principals, assistant principals, and other school leaders. Given the unique role that principals play in ensuring that our nation's teachers are supported, and that our students have a high-quality learning experience through high school in order to be college and career ready, principals must be afforded the necessary opportunities for professional learning and growth as they work to improve teaching and learning in all schools. I am extremely disheartened by President Trump's proposal and urge you to fully restore funding for Title II, Part A in FY 2018. Thank you for your consideration, and for your support of our nation's educators and students. 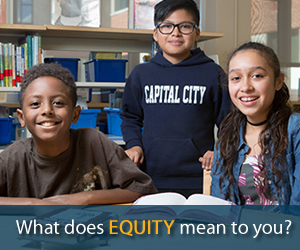 #TitleIIA is critical for achieving the goals around equity and excellence in ESSA. Fund #TitleIIA to support increased student achievement by promoting strategies to positively affect teacher and principal effectiveness. Fund #TitleIIA and give state #ESSA plans a chance to work! Call your members in Congress! Unsure who your Representative is? – Visit the Find Your Representative tool. Unsure what to say? - Here is a script you can use when speaking to staff member of the office. I am a [insert title and organizational affiliation] and I am calling to urge Senator/Representative [insert name here] to restore cuts made to Title II, Part A of the Every Student Succeeds Act (ESSA), which provides principals, school leaders and all educators with specific professional development opportunities. It also provides critical funding to states for the purposes of preparing, training, recruiting, and retaining high-quality teachers, principals, assistant principals, and other school leaders. I am extremely concerned about the deep cuts made to Title II, Part A and believe this will severely disrupt many states’ ESSA implementation plans, and hamper our efforts to increase student achievement. Given the unique role that principals play in ensuring that our nation's teachers are supported, and that our students have a high-quality learning experiences in order to be college and career ready, principals must be afforded the necessary opportunities for professional learning and growth as they work to improve teaching and learning in all schools. I urge Senator/Representative [insert name] to restore Title II, Part A funding. This month’s advocacy challenge is focused on the reauthorization of the Perkins Career and Technical Education Act. Last month, the House Education and Workforce Committee unanimously passed bipartisan legislation introduced by Reps. Glenn “GT” Thompson (R-PA) and Raja Krishnamoorthi (D-IL), called the Strengthening Career and Technical Education for the 21st Century Act (H.R. 2353). This legislation updates federal CTE policies to help more students gain the knowledge and skills they need to compete for in-demand jobs. The proposal is largely identical to legislation the House of Representatives passed in September 2016 by an overwhelming vote of 405 to 5. This Congress the bill is expected to be on the floor the week of June 5th. It is still unclear whether the Senate has any time or appetite to take up this overwhelmingly bipartisan legislation and send the bill to President Trump. Reduces the paperwork requirements in Perkins substantially by making critical improvements to the local CTE plans district develop, so school systems can access funds easily and without weighing the cost of continued administrative burdens. Emphasizes better alignment with business/industry​ by ensuring the districts are regularly connecting with business/industry and higher education partners to ensure their programs have the rigor they need so graduating students are on-track to get CTE jobs. Eliminates the requirement that districts demonstrate “continuous improvement” on the performance targets set by the state. However, we have one outstanding concern around data collection and district accountability. We do not believe it is fair or helpful to judge the quality of CTE programs based on the performance of students who are CTE “explorers” or students who have completed at least 2 courses in a single CTE program or CTE program of study. Instead, we believe districts should only be accountable for those students who are CTE concentrators or students who have completed 3 or more CTE courses. By holding districts accountable for the performance of CTE explorers as well as concentrators, we believe the data will paint an imprecise if not inaccurate picture of CTE’s impact on student performance. We urge the Senate to correct this issue in the House bill. Tell your Representatives to pass the HR. 2353 quickly and support this bipartisan effort to reauthorize the Perkins CTE Act. Tell your Senators to adopt the House Perkins CTE legislation, but make sure to address the issue with CTE explorers in the bill. This month's advocacy challenge is all about rural. And in fact, is just one of two options this month; we'll issue the second advocacy challenge the week of May 22, assuming President Trump does, indeed, release the full detail of his FY 2018 federal budget. In the mean time, on to rural! Background (Hat Tip: USED). Impact Aid is designed to assist United States local school districts that have lost property tax revenue due to the presence of tax-exempt Federal property, or that have experienced increased expenditures due to the enrollment of federally connected children, including children living on Indian lands. Many local school districts across the United States include within their boundaries parcels of land that are owned by the Federal Government or that have been removed from the local tax rolls by the Federal Government, including Indian lands. These school districts face special challenges — they must provide a quality education to the children living on the Indian and other Federal lands and meet the requirements of the Every Student Succeeds Act, while sometimes operating with less local revenue than is available to other school districts, because the Federal property is exempt from local property taxes. Since 1950, Congress has provided financial assistance to these local school districts through the Impact Aid Program. Impact Aid was designed to assist local school districts that have lost property tax revenue due to the presence of tax-exempt Federal property, or that have experienced increased expenditures due to the enrollment of federally connected children, including children living on Indian lands. The program provides assistance to local school districts with concentrations of children residing on Indian lands, military bases, low-rent housing properties, or other Federal properties and, to a lesser extent, concentrations of children who have parents in the uniformed services or employed on eligible Federal properties who do not live on Federal property. Impact Aid has been amended numerous times since its inception in 1950. The program continues, however, to support local school districts with concentrations of children who reside on Indian lands, military bases, low-rent housing properties, and other Federal properties, or have parents in the uniformed services or employed on eligible Federal properties. The law refers to local school districts as local educational agencies, or LEAs. AASA works in close coordination with the National Association of Federally Impacted Schools (NAFIS) on all things related to Impact Aid. Here’s a really good Impact Aid primer (Hat tip: NAFIS!) NAFIS also shared an excellent one-page document summarizing the critical nature of investing in Impact Aid, and how the funding works. Talking Points: Right now, the focus is on ensuring adequate and continued investment in Impact Aid, particularly as it relates to FY18. Impact Aid funds are eﬃcient, ﬂexible, and locally controlled. Impact Aid funds are appropriated annually by Congress. The US Department of Education disburses the funding directly to school districts. School district leaders decide how Impact Aid funds are spent, including for instructional materials, staﬀ, transportation, technology, facility needs, etc. The final FY18 budget allocation must include robust investment in Impact Aid. AASA is opposed to program cuts in the program, including the proposal to eliminate funding for the support payments for federal property program (within Impact Aid). Background: The Secure Rural Schools program was intended as a safety net for forest communities in 41 states. SRS payments are based on historic precedent and agreements removing federal lands from local tax bases and from full local community economic activity. The expectation is that the federal government and Congress will develop a long term system based on sustainable active forest management. Congress needs to act on active long term forest management programs generating local jobs and revenues. Congress funded SRS for 2014 and 2015, but has not funded SRS for 2016. 775 Counties and over 4,400 schools serving 9 million students in 41 states now directly face the grim financial reality of budget cuts and the loss of county road, fire and safety services, and reductions in education programs and services for students. The negative impact of lost SRS funds for counties and schools in Rocky Mountain states are compounded by reduced PILT payments. All these funding cuts negatively affect everyone who lives in or visits forest counties. Congress must continue the historic national commitment to the 775 rural counties and 4,400 schools in rural communities and school districts served by the SRS program. Without immediate Congressional action on forest management and SRS, forest counties and schools face the loss of irreplaceable essential fire, police, road and bridge, community and educational services. Talking Points: STAND UP, SPEAK OUT FOR SRS NOW: YOUR REPRESENATATIVES ARE IN THEIR DISTRICTS May 8-15 -- Contact your Member TO STAND UP, SPEAK OUT NOW FOR SRS. Tell what the loss of SRS funds means to schools, roads and other essential services in your community. Provide examples of cuts to education programs, road, bridge, police, fire, and safety programs. ASK your House member to cosponsor H.R.2340 - To extend the Secure Rural Schools and Community Self-Determination Act of 2000. ASK your Senator to cosponsor S. 1027 - To extend the Secure Rural Schools and Community Self-Determination Act of 2000. ASK for action on legislation to actively manage and restore National Forest and BLM lands to promote economic development and stability. This month’s advocacy focus is all about funding. It is a little longer than usual, because we spent a little more time providing background. It is also divvied into two parts. This part is focused on annual appropriations in general, and the second part will be talking points by content area (ESSA, IDEA, rural education, ed tech, etc…) As always, let us know if you have any questions, or if you need any additional information (including the name and email address of the appropriate staffer). What year is it? For purposes of this update, you will see reference to federal fiscal year (FY) 2016, 2017 and 2018. Federal fiscal years run from October 1 through September 30. FY17 started on October 1, 2016 and runs through September 30, 2017. This month, April 2017, is in FY17 and FY17 dollars will be in your schools for the 2017-18 school year; FY16 dollars are currently in your schools; and FY18 is the budget proposal just released by President Trump. Sequester: Sequester is the set of across the board cuts that was applied to the federal budget—including education—in 2013. The cuts of sequester stem from the Budget Control Act of 2011, a law passed by Congress. The BCA implemented ten years of budget caps AND triggered sequester when Congress was unable to identify cuts on its own. The budget caps and sequester cuts (and continued pressure) are at the center of the broader federal education funding conversation. The budget caps are very real and Congress is legally bound to operate within those funding restraints. Defense and Non-Defense Discretionary Funding: Within the federal budget, there is mandatory and discretionary funding. We are in the discretionary slice of the pie. Within discretionary funding, there is defense discretionary and non-defense discretionary (NDD). Education funding is a part of non-defense discretionary funding. When the cuts of sequester applied, they applied equally between defense and non-defense discretionary dollars. Parity: From the first application of sequester, there was a concerted push to raise the cap (amount of funding available) for defense discretionary funding. The cuts of sequester are absolute, meaning the only way to raise funds for defense discretionary were to make further cuts to NDD (eek!) or to raise the overall cap. Most preferably, the goal would be to raise the cap and provide equal cap raises for both defense AND NDD. This is parity. President Barack Obama was rock-solid on parity. When he was approached with the idea of raising defense discretionary funding, he was agreeable so long as there was a comparable increase available for non-defense discretionary funding. Appropriations Process: If this were ‘School House Rocks’, here’s how the federal appropriations process works: The President introduces a budget proposal; the House and Senate use/refer to this budget proposal in drafting/revising their respective budget proposals before adopting their respective budget resolutions. These budget resolutions are used to determine allocations for each of the 12 appropriations sub committees (education funding is in the Labor, Health, Human Services Education And Other, or LHHS, appropriation). Sub committees use these allocations to provide funding (whether a cut or an increase) to specific programs. All 12 subcommittees would adopt and pass a stand-alone appropriation, which would then be adopted on the full chamber floor, and all before the October 1 start of the federal fiscal year. This is NOT a ‘School House Rocks’ process kind of Congress, though. (the last time Congress completed the traditional appropriations process on time was more than 20 years ago). Continuing Resolution: When Congress is unable to complete its annual appropriations process on time, there is a threat for a federal government shutdown. Congress can avoid a shutdown by exercising a continuing resolution (CR), which provides short-term funding to buy Congress additional time to complete its appropriations work. A CR is straight, level funding. If the program was funding in the previous year, it will be funded in this new year, at the exact same level. The CR does not include program/policy changes or changes to funding level. A CR can include anomalies, which may account for some changes, but the most common type of CR is a ‘clean’ CR, which just extends and level funds programs. Stand Alone Appropriations Bills: Congress could pick up the work it had started, and move to consider and adopt each of the 12 appropriations bills independently. This is highly unlikely. Congress has a finite amount of floor time available for this debate before April 28—including a 2 week Easter/Spring recess. Further, Congress (and the Senate, in particular) has other demands for floor time that limit the likelihood of this scenario: normal business, ongoing confirmations for the new administration, FY18 conversations, and confirmation of the Supreme Court nominee. Quite simply, they don’t have enough floor time for this option. Omnibus: Congress could pass the 12 stand-alone bills independently in committee, and then pile them together into one big ‘up or down’ vote. This is increasingly less likely to happen, given time constraints. Minibus: In this scenario, Congress would pass some of the stand alone appropriations bills (typically those that are slated for funding increases, so not necessarily LHHS), and then use a year-long CR for the remaining bills. This is somewhat likely, but also concerning. Given the absolute nature of the budget caps, a funding increase for some would mean a funding cut for others (including our LHHS bill). In a mini-bus scenario, LHHS doesn’t even get on the bus. Year-Long CR: In this scenario, Congress will extend the CR to last through September 30. A year-long CR means level funding for any program currently being funded. As each day goes by, this looks ever more likely. It is the path of least resistance: by not opening up the 12 individual bills, Congress avoids debate, and avoiding debate will be key to getting any of these done on time. A year-long CR will require certain anomalies (or conforming language) particular to education. FY16 funded No Child Left Behind; FY17 will fund the first year of Every Student Succeeds Act. ESSA had some programmatic restructuring that would not be realized under an FY16/NCLB construct; anomaly language would allow FY16 dollars amounts to flow through an FY17 construct. Federal Fiscal Year 2018 (FY18): On March 16, President Trump released his FY18 budget proposal for federal fiscal year 2018 (October 1, 2017-September 30, 2018; these are the federal dollars that will be in your schools for the 2018-19 school year). Referred to as a ‘skinny budget’, the proposal covers only the discretionary portion of the budget (NOT mandatory programs) and even in that, does not indicate the proposed funding level for all federal discretionary programs. ALL new proposed education funding in President Trump’s budget is for choice/privatization. All other programs (for which detail is provided) are either cut or level-funded. There is much that remains unanswered, both in terms of the mandatory programs in the budget and other programs we care about in the K12 budget (including, but not limited to, Perkins/Career Tech, Rural Education Achievement Program, ESSA Title IV). Please note that this summary includes all detail that is currently available. If you do not see a program referenced, it means the budget does not reference it. We cannot predict, at this point, whether that means an increase, cut or level funding. FY18 Looking Ahead: Two big questions remain to be answered: How committed is President Trump to this budget? That is, does this proposal represent his serious funding priorities or is it a compilation of campaign promises parading around as a federal document? Second, how does Congress react to this proposal? It is a proposal based heavily on cuts, many of which may make the proposal ‘dead on arrival’ on Capitol Hill. We have to see if Congress takes any/all/none of it into consideration as it starts its FY18 appropriations work. Talk to your members about the importance of continued investment in education. Investing in education builds a stronger nation. We need a well-trained and educated workforce ready to compete in a global economy and support our military. The best way to reduce the deficit is to spur economic growth. Yet we can’t run businesses, schools and universities, or the public sector if our children don’t grow into adults equipped with the tools they need to succeed. Education funding for K-12 education is less than it was ten years ago. In a time of tight budgets, 23 states are on track to provide less formula funding in 2017 than they did ten years ago, cutting the largest source of support for elementary and secondary education. Yet federal elementary and secondary education funding is still below the 2008 level even though public school enrollment has increased by 2.3 percent over those ten years. $1 invested in early childhood education saves at least $7 down the road. Yet Head Start, the largest federal early childhood education program, is so underfunded that it can serve only 4 out of every 10 eligible children from low-income families. A greater education investment – spent wisely – makes sense by increasing educational achievement. For example, funding that allows for better teachers and smaller class size increases high school graduation rates, especially for low-income students. Because of how education is funded in the U.S., low-income students are likely to benefit most from federal funding, much of which is targeted to schools in low-income neighborhoods and to low-income college students. Parity: Encourage your members of Congress to advocate for—and support-continued parity between defense and non-defense discretionary funding, and to oppose President Trump’s proposal to increase defense discretionary funding by $54 billion, and to pay for it by cutting NDD. Title I: Fund Title I at a level $200 million above President Obama’s proposed level. Title I must be funded at a robust enough level to ensure at least level funding for district allocations. ESSA includes an increase in the state set aside and lifts the Title I “hold harmless” provision, meaning that even with the $450 million rollover from SIG, the Title I allocation (as proposed by the President) leaves a $200 million shortfall at the local level. AASA is opposed to any scenario where they FY17 allocation leaves school districts with less money in FY17 (the first year of ESSA) than they had in FY16. IDEA Funding: Congress must continue to increase its investment in IDEA. Adjusted for inflation, the current proposals—the President, the Senate, and the House—remain woefully underfunded, coming nowhere near Congress’ commitment to providing 40% of the additional cost associated with education students with disabilities. In fact, the current proposals put the federal share at roughly 16%, which is less than half of what Congress committed to, and below FY10 levels when adjusted for inflation. 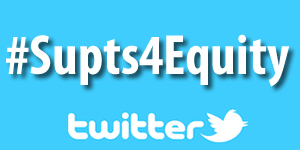 ESSA Student Support and Academic Enrichment Grants (SSAEG, Title IV-A): It is critical that Title IV, the flexible funding block grant that allows school districts to invest in a variety of programs—including well-rounded education, school climate, technology and professional development—must be funded at high enough a level to support meaningful formula allocation. If Congress advances a year-long CR, the bill must include anomaly language to reconcile policy changes between No Child Left Behind and Every Student Succeeds Act, including authorizing the eliminated School Improvement Grant (SIG) money to flow through the Title I Part A base formula, and to allow the program changes in the new Title IV. FY18: Much of the advocacy for FY18 will be further shaped by what Congress does in response to President Trump’s FY18 budget proposal. Urge your delegation to OPPOSE the draconian cuts in the President’s budget. Express deep concern with a budget proposal that cuts $9 billion (13%) from the Department of Education. Express deep concern with a budget proposal where EVERY.SINGLE.NEW. dollar (all $1.4 billion of them!) are for choice and privatization. Encourage your delegation to support that increase, but to prioritize investment of those dollars into key formula programs that support all students and schools, including IDEA, Title I and Perkins. OPPOSE the President’s proposal to use $1 billion in new funding for Title I for portability or vouchers. Any new money in Title I must flow through the base formula. AASA remains opposed to continued reliance on competitive allocation of funding. All dollars must remain available to all schools and all students, and any reliance on competitive allocation reinforces a system of winners/losers, rather than addressing opportunity gaps. Check out this handy chart from the Committee for Education Funding, which shows the total amount of discretionary funding available at the Department of Education. As a point of reference: the FY16 allocation (the dollars currently in your schools) is above where we were in FY12, but below where we were in FY10. Think about your student population today; do you have more students in poverty? More English Learners? More students with disabilities? For a better look at trends in state funding (HINT: 35 states put in less money in 2014 than they did in 2008!) check out this report from our friends at Center on Budget & Policy Priorities. Republicans in the House of Representatives have introduced a bill that would dramatically change Medicaid’s structure impact the ability of students with disabilities and students in poverty to receive many critical health services in schools that enable them to learn. These services include speech-language pathology, occupational and physical therapy, mental and behavioral health services, vision and hearing screenings, diabetes and asthma management and wheelchairs and hearing aids. Schools are able to provide these services, professionals and equipment because they can receive reimbursement from Medicaid to cover the majority of these costs. However, the Republican Medicaid plan “The American Health Care Act” would dramatically change the financing structure of Medicaid and would jeopardize the critical health care that students receive in schools. AASA and 41 national education, healthcare, disability and child welfare organizations sent a letter to the House Energy and Commerce Committee urging members of Congress to oppose. Under this plan, every child would receive a capped amount of funding for their healthcare needs regardless of how sick they are, how disabled they are or the services they need to be healthy and learn. School districts may be totally cut out of the Medicaid reimbursement process as States will be in the drivers’ seat except they have 600 billion dollars less from the federal government to spend on Medicaid eligible kids. Reliable healthcare experts believe this will lead to rationed health care options for children, and cutting schools out of Medicaid reimbursement is an obvious choice for States to make when dollars are scarce and schools are competing with hospitals, primary care physicians and front-line providers for limited resources. Take action now to stop America’s most vulnerable children from losing vital healthcare services in schools. Call your Senators and Representative and urge them to reject legislation that places arbitrary caps on how much Medicaid funding a child receives. As a constituent and a superintendent, I oppose the passage of the American Health Care Act. Rather than close the gap and eliminate the rate of uninsured children in America, the current proposal will ration the health care America’s most vulnerable children receive and undermine the ability of districts to meet the educational needs of students with disabilities and students in poverty. Children represent 46% of all Medicaid beneficiaries yet represent only 19% of the costs. Currently, 4-5 billion dollars flow to school districts every year, so they can make sure students with disabilities who need the help of therapists can learn and that students who can’t get to a doctor regularly can receive the basic medical care they need to learn and thrive. The current proposal will jeopardize student's ability to receive comprehensive care at schools and create barriers to access. The American Health Care Act would undermine critical healthcare services my district provides to children. It would also lead to layoffs of school personnel, the potential for new taxes to compensate for the Medicaid shortfall, and shifting general education dollars to special education programs to compensate for these cuts. Calling is much more effective, but if you choose to write your elected officials, use this template. As a constituent and a superintendent, I strongly oppose The American Health Care Act, which would radically change Medicaid as we know it through block grants, per capita caps, or repealing the Medicaid expansion that has served as a lifeline to millions. Specifically, a per capita cap system will undermine states’ ability to provide America’s neediest children access to vital healthcare that ensures they have adequate educational opportunities and can contribute to society. Medicaid is a cost-effective and efficient funder of essential health care services for children. In fact, while children comprise almost half of Medicaid beneficiaries, less than one in five dollars spent by Medicaid is consumed by children. Accordingly, a per capita cap, even one that is based on different groups of beneficiaries, will disproportionally harm children’s access to care, including services received at school. A school’s primary responsibility is to provide students with a high-quality education. However, children cannot learn to their fullest potential with unmet health needs. As such, school district personnel regularly provide critical health services to ensure that all children are ready to learn and able to thrive alongside their peers. Schools deliver services effectively and efficiently since school is where children spend their days. Increasing access to health care services through Medicaid improves health care and educational outcomes for students. 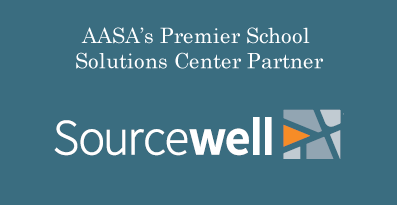 Providing health and wellness services for students in poverty and services that benefit students with disabilities ultimately enables more children to become employable and attend higher-education. The current proposal would be devastating to schools and children, particularly those children with disabilities. The American Health Care Act would undermine critical healthcare services my district provides to children. It would also lead to layoffs of school personnel, the potential for new taxes to compensate for the Medicaid shortfall, and shifting general education dollars to special education programs to compensate for these cuts. I urge you to reject the American Health Care Act, and any subsequent effort to significantly change the funding structure of Medicaid. We kicked off the 2017 Superintendent Advocacy Challenge in February with a simple call to action, encouraging you to make contact with each office. This month, we focus on E-Rate! As we go through the year, if you would like talking points and background on a topic other than what we feature, JUST ASK! We are more than happy to provide that information, to ensure you are able to relay the information more relevant for you. We are also happy to share the name and email address of the education staffer for your members of Congress; just ask! Policy Context: While Congress is not poised to make any changes to E-Rate, we want to ensure that they know what E-Rate, how schools and libraries use it, why the program matters, that it is working and is important, and what would happen to schools if the program were reduced or cut. The goal of this month’s call to action is an awareness campaign, to put this issue on Congress’ radar as a program to know and a program to support! Though Congress has no role in determining the changes to E-Rate, they do engage in conversations with the FCC Commissioners. As such, make sure your Senators and Representatives know the critical role that E-Rate dollars play in school connectivity and how important those dollars will be as schools prepare for the online assessments. Did you know? E-Rate is the third largest stream of federal resources in the country, after Title I and IDEA. Check out E-Rate funding in your state! E-Rate played a critical role is the rapid and significant expansion of connectivity in schools, and the 2014 modernization was a much needed update to ensure more schools and libraries are connected to broadband. Talk about how your district uses its E-Rate funding, how it supports your district’s learning and teaching, and what it would mean if E-Rate were cut. We are using the February advocacy challenge to make an introduction and extend an invite. Congress is adjourned for recess at regular intervals, meaning they will be in their home district frequently. Recess is an opportune time to invite your elected official (and/or their education staffer) to see your schools in action. Highlight your programs that are excelling (After school? English Learner support? Early education? Credit Recovery?). Give examples where you could do more with better federal support (High class room sizes? Teacher shortages? Limited opportunity for CTE?). Facilitate a community conversation with stakeholders about ESSA (or education technology, or school nutrition, or rural education….). 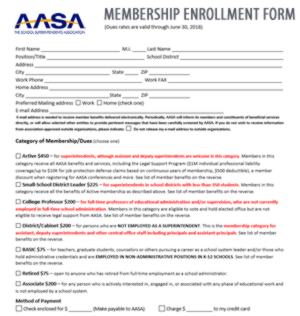 Introduce your state association, and their role in helping facilitate/convene conference calls and round table conversations with member superintendents. Extend the opportunity for them to reach out to you as they have questions and consider various policies in Congress; let them know that you’d be happy to tell them what it would look like in your district and for specific things to consider. Indicate that you will be reaching out over the course of the year on federal advocacy priorities, and that you look forward to working with them. It is an introductory round this first month, and will be more substantive and policy-specific next month. 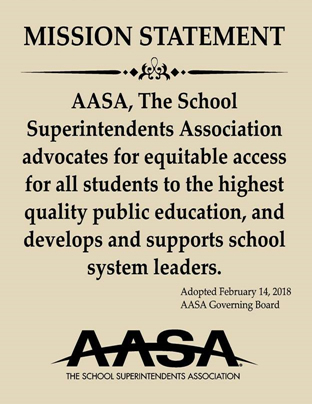 Thank you, in advance, for your continued advocacy efforts and support for AASA advocacy. And, as always let us know if you need anything.